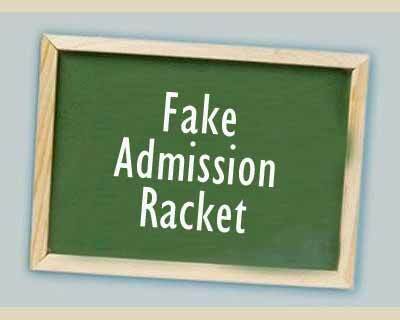 Delhi police, Crime branch today claimed to have busted a gang of cheats involved in a fake MBBS admission racket with the arrest of two people. The racket is assumed to have been a multi-crore scam with the accused now being identified as repeat offenders, or what some people would say as professional cheaters. The accused have been identified as Naresh Kumar alias Tau, the kingpin of the racket, and his associate Shubam Jindal. It is reported that Naresh had been earlier arrested under 28 admission fraud cases primarily relating to Delhi University Admissions, however, pending trial in all the cases , seemed to be back to his business of duping vulnerable medical aspirants and their parents in the meantime. Along with their associates, the arrested seem to have cheated many medical aspirants on the pretext of securing MBBS seats in reputed medical colleges in India, a senior police official said. “The accused used to trap parents of the aspiring students by introducing such parents to their associates who claimed good liaisons with the management of reputed medical colleges in Delhi and nearby states,” Ravindra Yadav, Joint CP, Crime Branch. While Tau was arrested from Dwarka, Shubham Jindal was nabbed from Karol Bagh following a tip-off last evening. The crime came to light when one Ripan Wadhwa lodged a complaint alleging that he was duped of Rs 51 lakh by the accused in name of securing MBBS seat for his son in Christian Medical College, Ludhiana and Maulana Azad Medical College, New Delhi by providing fake admission documents. The complainant further alleged that Naresh and Shubham told him that they can arrange MBBS seats in CMC, Ludhiana against Church sponsored seats and later in MAMC, Delhi against surrendered seats. Further investigation is on and efforts are underway to apprehend other accused, Mr Yadav said.